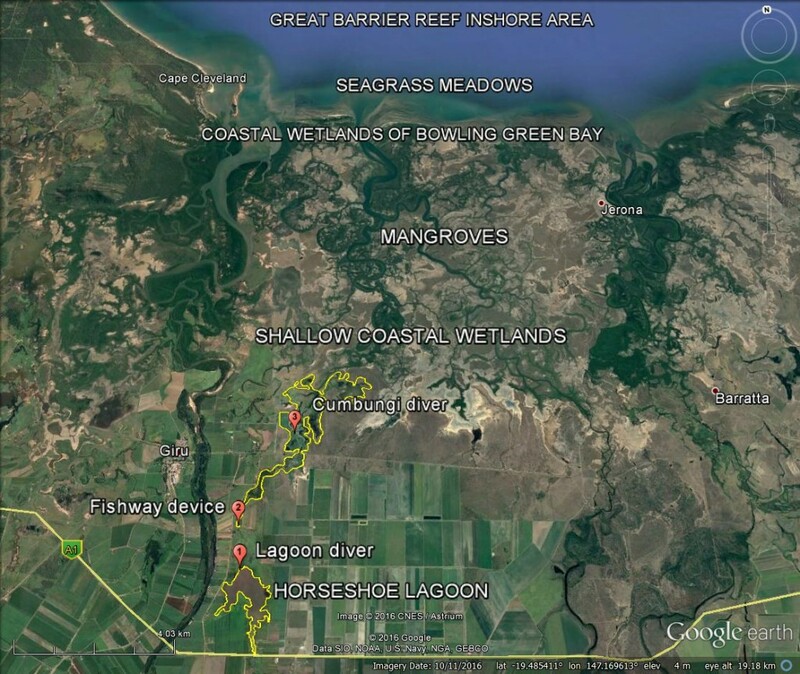 Why the Horseshoe Lagoon wetland system? The lagoon is an essential water resource for the community. Run-off from cane farms and other properties enters the lagoon via a SunWater channel and adjacent land. It’s an important bird breeding and habitat area, especially during dry periods. 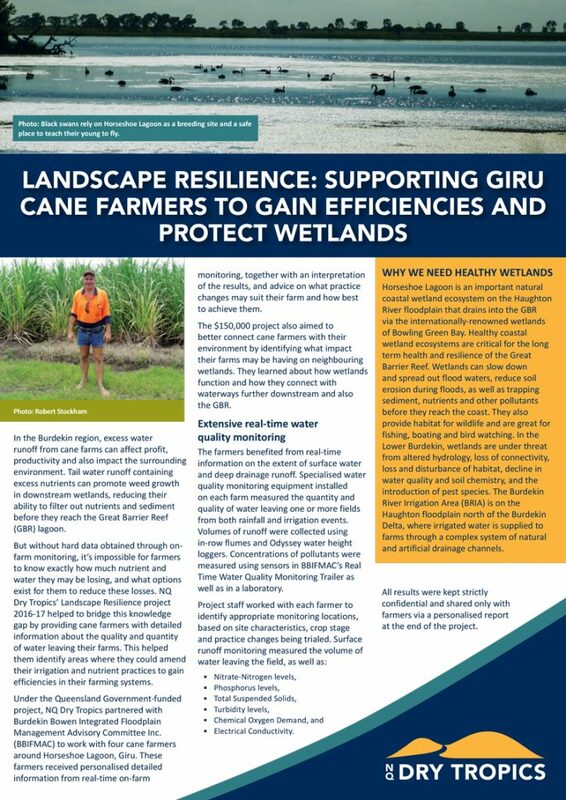 Large areas of shallow coastal wetlands in between the land and the coast downstream from the lagoon are choked up with cumbungi – a native bulrush. These shallow coastal wetlands lead to the internationally-important coastal wetlands of Bowling Green Bay, and then on to the Great Barrier Reef. The cumbungi chokes downstream from Horseshoe Lagoon are caused by permanently waterlogged soils from nutrient-rich run-off. Pigs and coots live in the chokes and cause damage to agriculture and the environment. 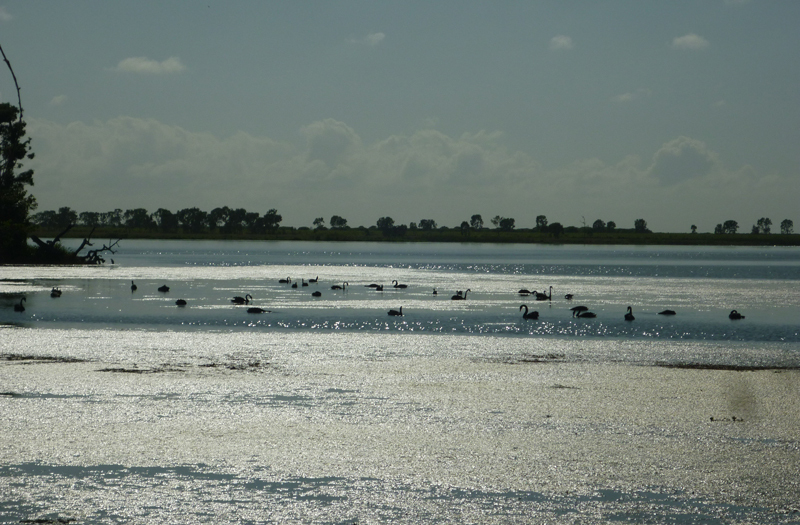 The chokes reduce the ability of the shallow coastal wetlands to slow down, absorb and filter water coming off the land; and reduce fish movement and bird habitats. Stopping excess water leaving the lagoon will help dry out the downstream cumbungi choke. 1. 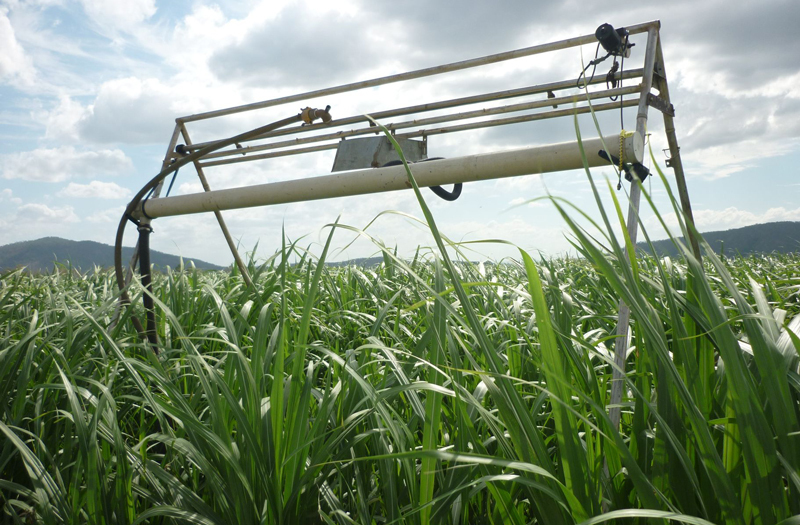 Farmer participation (BBIFMAC): Shared information with cane farmers regarding nutrients in run-off; compared irrigation run-off and rainfall run-off; compared volume of water applied and volume lost in run-off; and deep drainage calculations. 2. 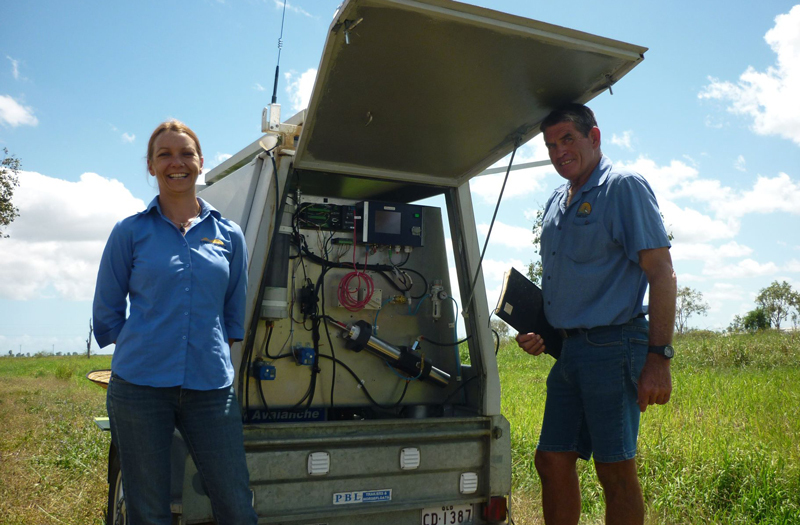 Wetland monitoring (NQ Dry Tropics): Measured water level changes and volumes through one monitoring device in Horseshoe Lagoon and two located downstream (see map). 3. 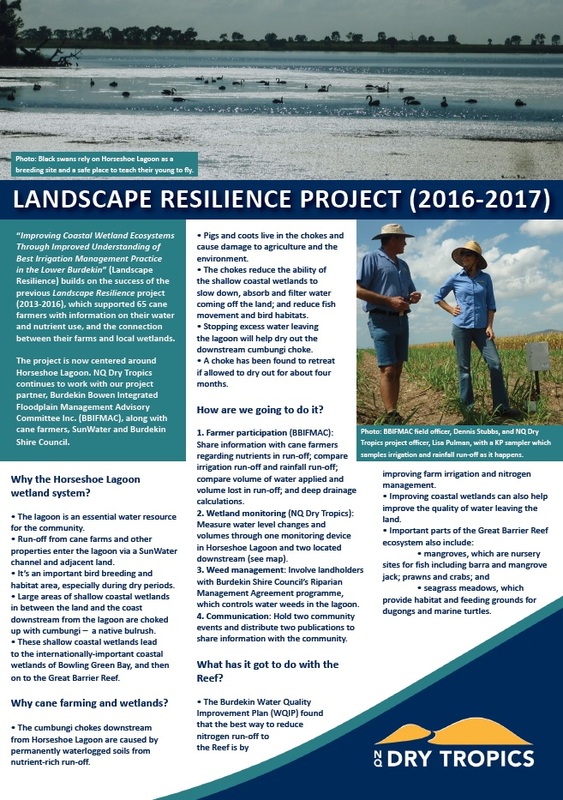 Weed management: Involved landholders with Burdekin Shire Council’s Riparian Management Agreement programme, which controls water weeds in the lagoon. 4. Communication: Held two community events and distributed two publications to share information with the community. 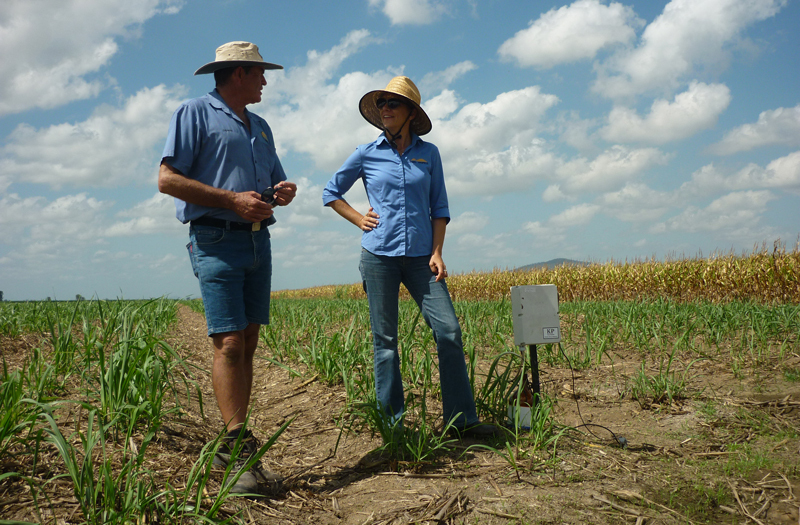 The Burdekin Water Quality Improvement Plan (WQIP) found that the best way to reduce nitrogen run-off to the Reef is by improving farm irrigation and nitrogen management. seagrass meadows, which provide habitat and feeding grounds for dugongs and marine turtles. How did we monitor the wetland system (see map)? 1. A “lagoon diver’’ at the outflow point of the lagoon measured the natural fluctuations throughout the year. 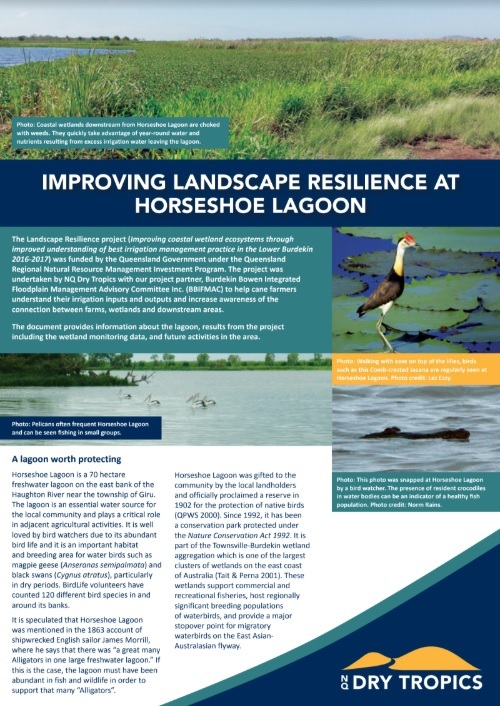 This data provided information for future management decisions including keeping the lagoon at optimum levels for people, birds and fish. 2. A “fishway device” told us how much water travelled through the fishway. 3. A “cumbungi diver” told us the depth of water in this area, and when it is wettest and driest. 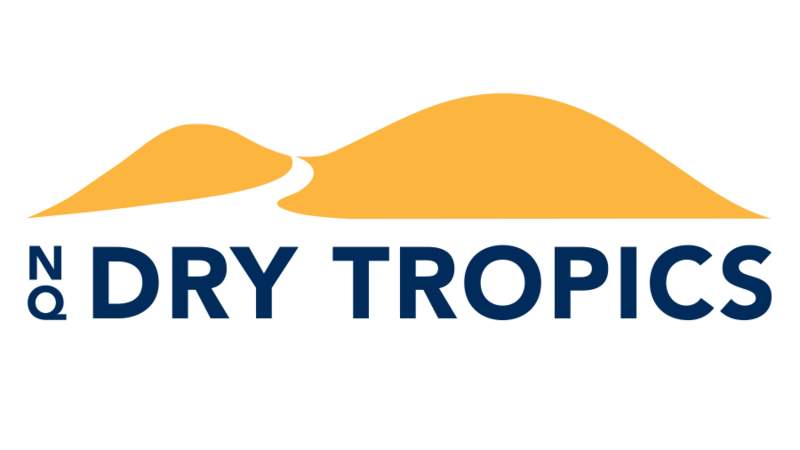 This project is delivered by NQ Tropics and BBIFMAC through funded by the Queensland Natural Resource Investment Program.